Marlborough Apple Pie is a single crust pie filled with grated apples that are baked in a sherry-spiked custard. The first appearance for a recipe for Marlborough apple custard pie evidently was in American Cookery by Amelia Simmons in 1796. The apples were grated so that you could disguise bruised apples. Evidently, the modern version of apple pie is a very new development. This pie includes a combination of sweet and tart apples mixed with custardy mixture of spices, sherry, cream, eggs, lemon zest, and vanilla. You begin by pre-baking your crust so that it does not get soggy once you add the apple and custard filling. My only mishap happened when I removed the pie weights mid-bake, and spilled them all over the kitchen flour. Fortunately, my husband was running an errand, and I was able to clean up the evidence before he got home. If no one saw it, it didn't happen, right? 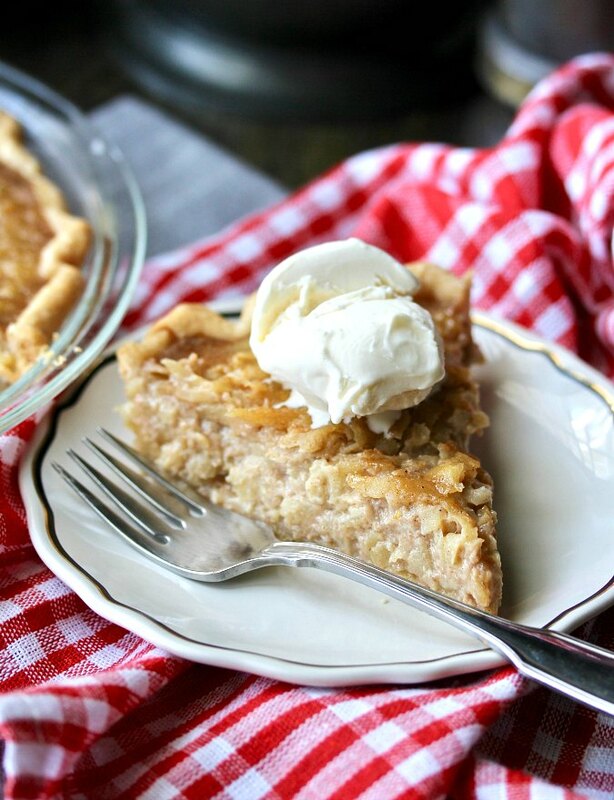 The filling in this pie is sweet, apple-y, custardy, and slightly boozy from the dry sherry in the filling. The filling also includes a great throw back ingredients, mace. Mace is made from the outer leaves of nutmeg. Its flavor is lighter, sweeter, fruitier, and more subtle than nutmeg, and has hints of herbs. Mace used to be readily available, but somehow it grew out of favor. In fact, I could not find mace in any of my local supermarkets. It's still included as a trace ingredient in apple pie spice, but it plays a very minor role. Fortunately, one of our sponsors, The Spice House, still carries it. I also used Rodelle Gourmet Vanilla in this pie. Rodelle is one of our sponsors, and is offering a cool prize package. I cannot get too much quality vanilla. To keep the pie crust edges from overly browning, I used an adjustable pie crust shield from Nordic Ware. They are also participating in our give-away. To get more details about the seven different prizes we are giving away for Apple Week, visit this post. 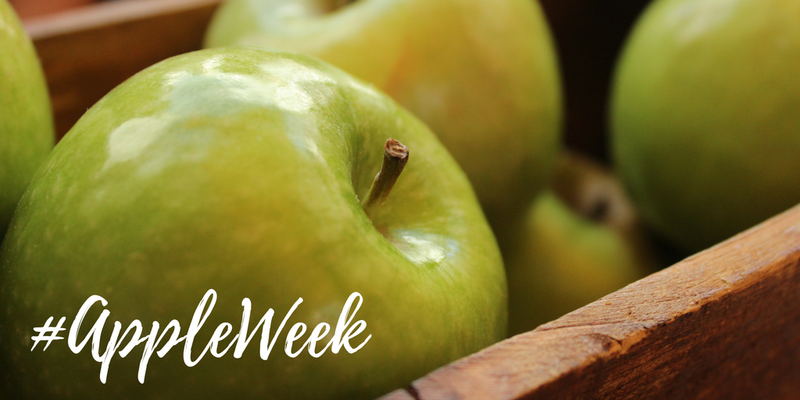 Welcome to Day 6 of Apple Week! After the recipe, be sure to check out the rest of the sweet and savory Day 6 apple recipes from our participants. You can also enter to win. Only 8 days left! 1 9-inch par-baked pie crust, cooled. Place an oven rack in the lower middle position and heat the oven to 325 degrees F.
Melt the butter in a 12-inch skillet over medium heat and add the grated apples. Cook, stirring, until the pan has dried and the apples are softened, 12 to 14 minutes. Transfer the apples to a bowl and set aside to come to room temperature. In a large bowl, whisk together the sugar, cinnamon, mace, and salt. Add the eggs, cream, sherry, zest, and vanilla. Whisk until smooth. When the apples have cooled, stir them into the mixture. Add the mixture to the baked pie shell and bake for 40 minutes. Cool on a wire rack for about 4 hours. Refrigerate any leftovers. Oh boy! Another different apple recipe! Love it! I made this yesterday - we really liked it! 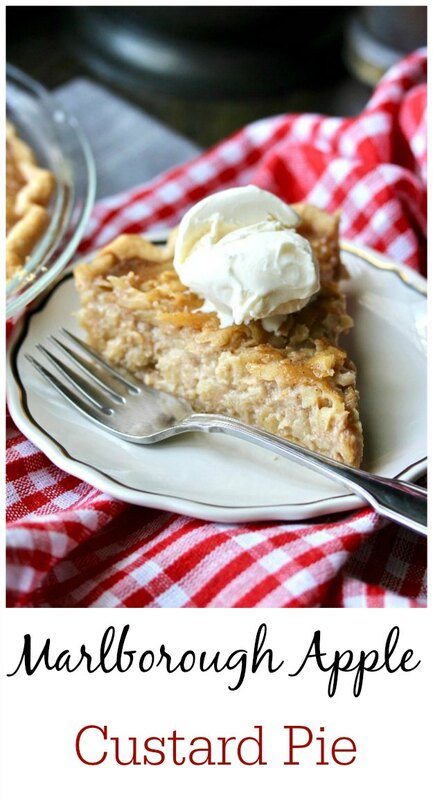 Think this will be the one I make when I want an apple pie! Thanks for posting it. This pie looks delicious! I've had Marlborough Pie on my "to-make" list for a while now so I'm definitely trying it soon. I had actually never heard of it! Thanks. 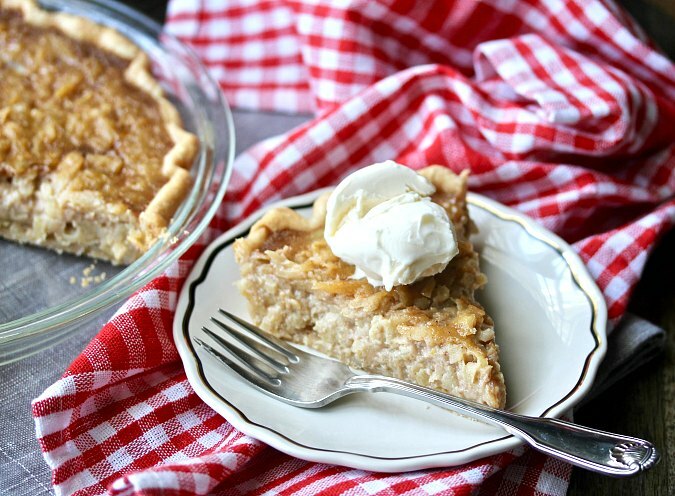 Love this recipe and the background on apple pies. Thanks for sharing.